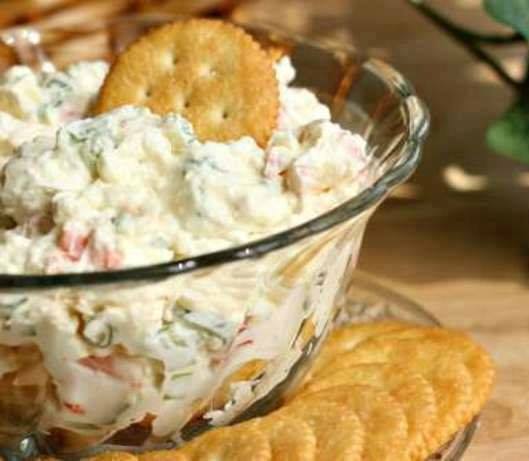 Blend cream cheese, mayonnaise and lemon juice. Chop crab meat into bite size pieces. Add remaining ingredients and mix well.